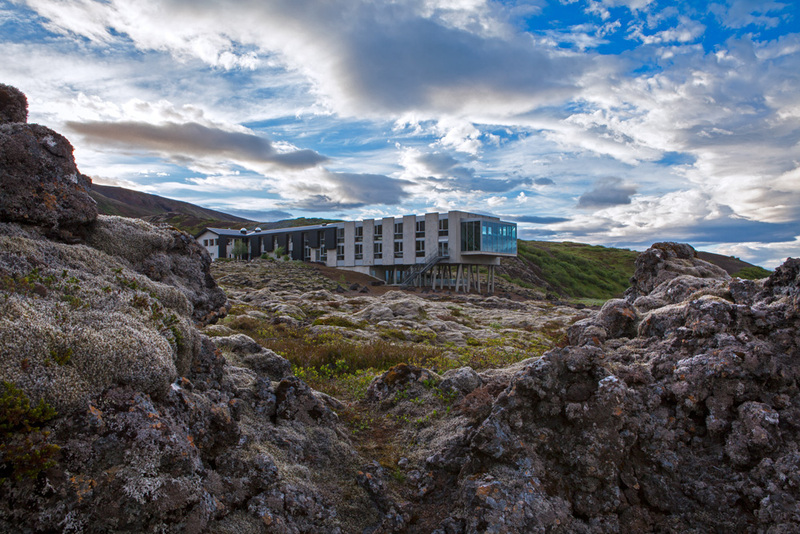 In a land of myth and legend, on an island where fire meets ice, surrounded by hot springs, glaciers, and the mystical glow of the Northern Lights, comes a new hotel where nothing comes between you and this otherworldly landscape. 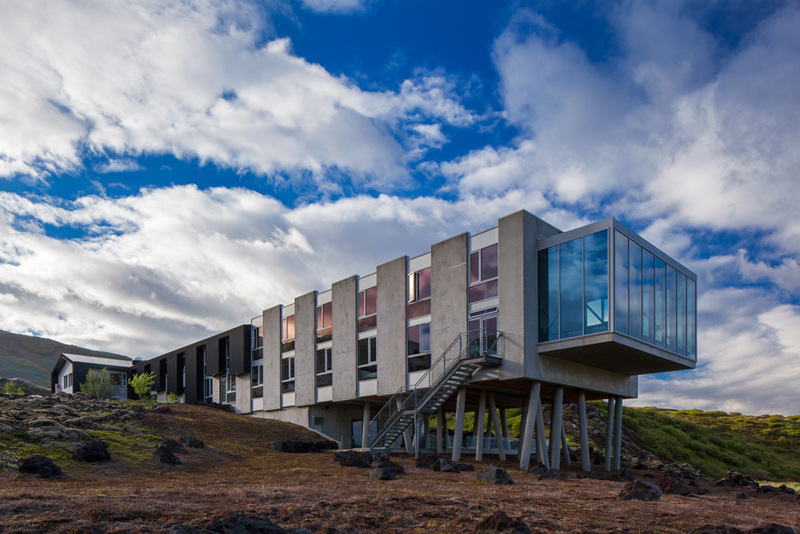 Ion, Iceland’s newest luxury hotel designed by Minarc. 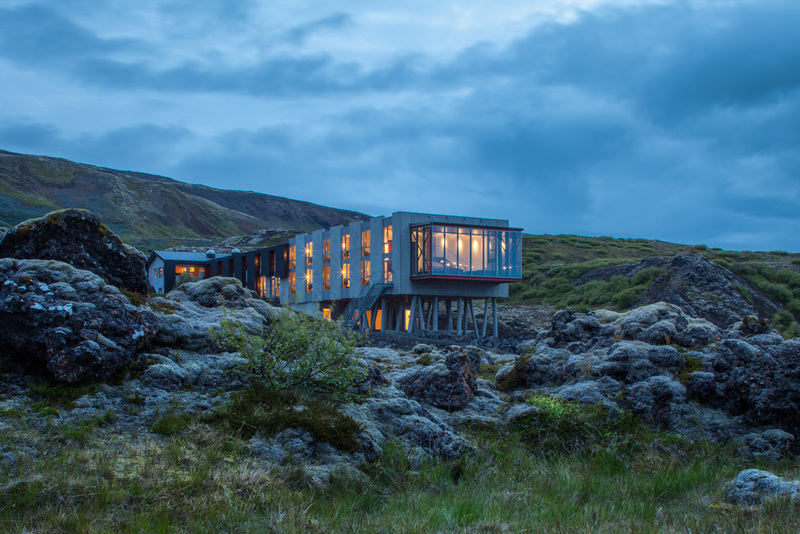 Nestled into the slopes of Mt. 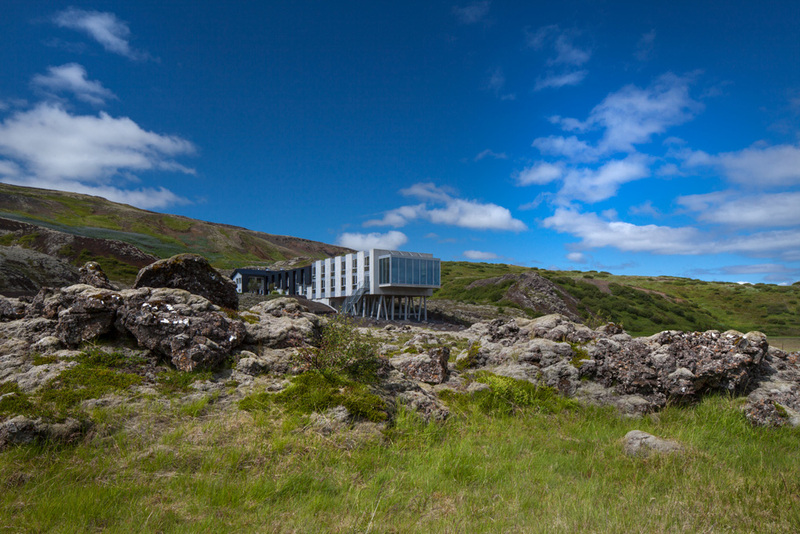 Hengill, near Thingvellir national park, the Ion sits perched atop a series of high-seat pillars, an homage to Iceland’s first settler, Ingolfur Arnarson, who en-route to Iceland in the year 874 threw his high-seat pillars overboard and sailed to where the gods brought them ashore. 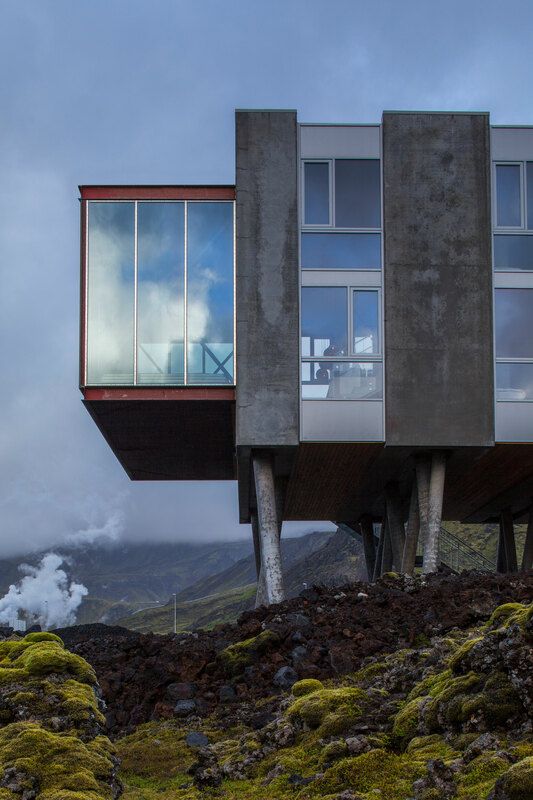 Like an enormous basalt post pile, with its black, lava-like exterior emerging from the mountainside, the new wing appears suspended, as if floating on the cloud of geothermal steam that surrounds it. 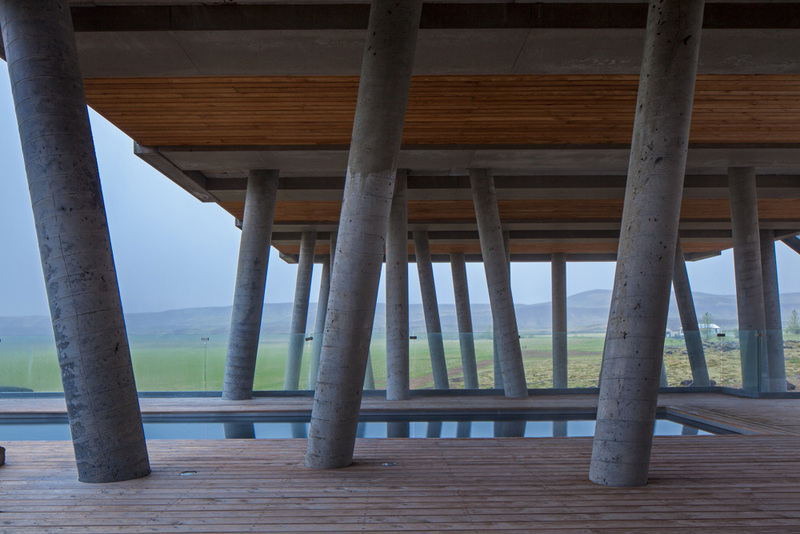 The Ion, with its use of natural light, outdoor living spaces and panoramic views of the environs, creates a unique sense of oneness, where the boundaries of walls seem to part and beckon nature inside. 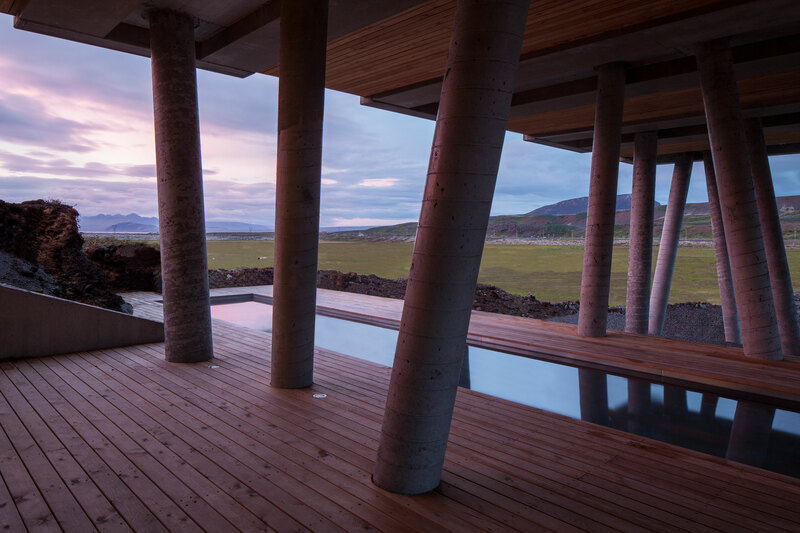 Inspired by the environmental surroundings, Ion incorporates innovative materials, sustainable practices, and the natural features of Iceland into its design. 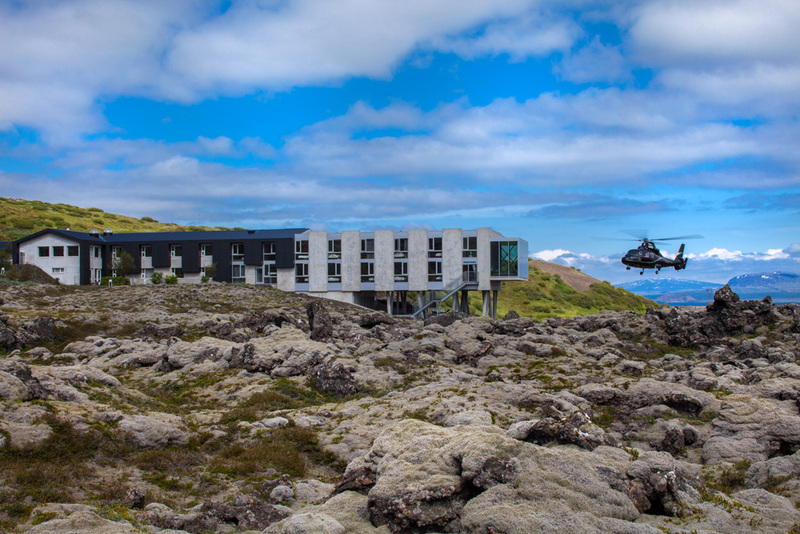 Ion is surrounded by hot springs, which provide geothermal hot water and energy. 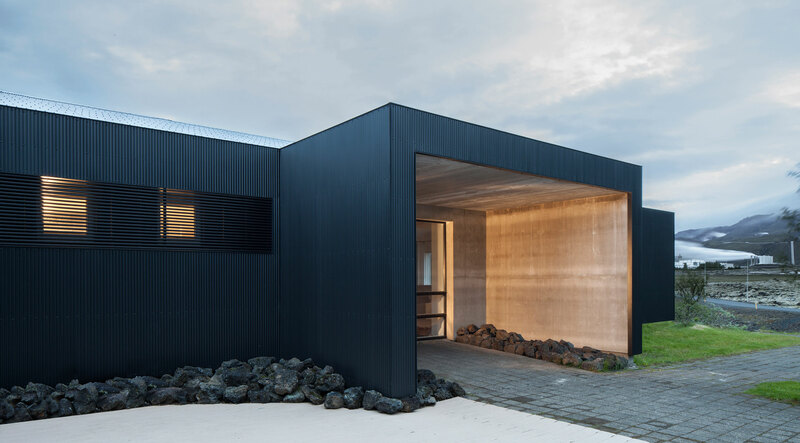 The prefabricated, panelized building system exceeds environmentally safe building standards. 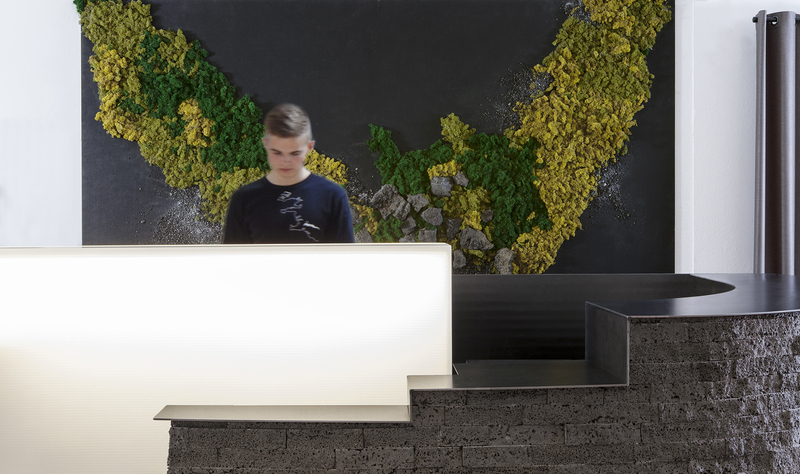 Driftwood and other natural materials are used extensively in furniture throughout the hotel. Beds and chairs are built from recycled materials. 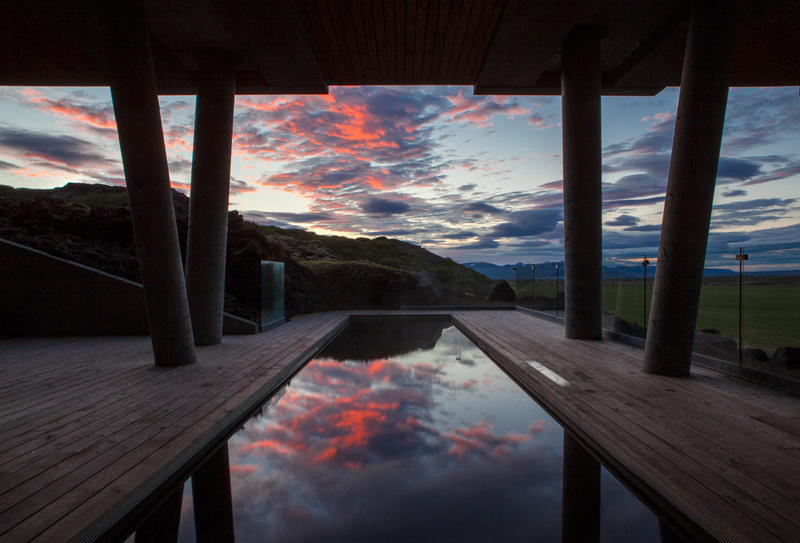 Mirrors are framed with indigenous Birchwood. 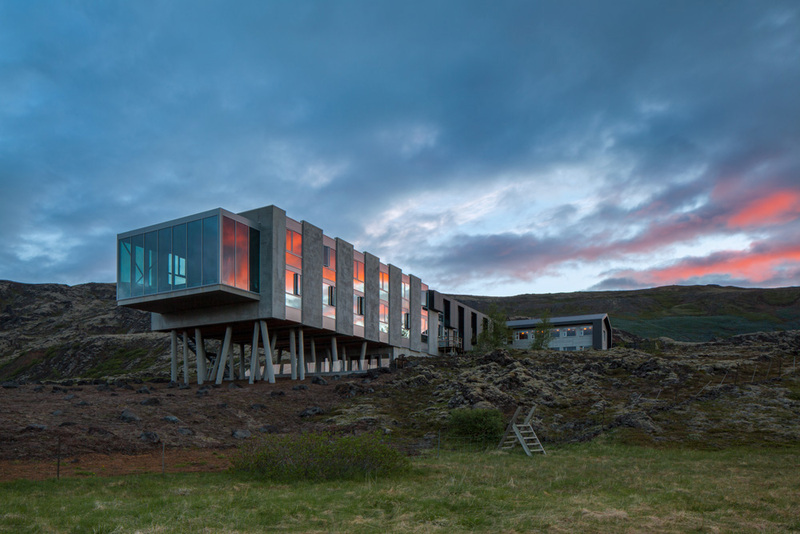 Lights made of lava and found-wood illuminate the rooms. 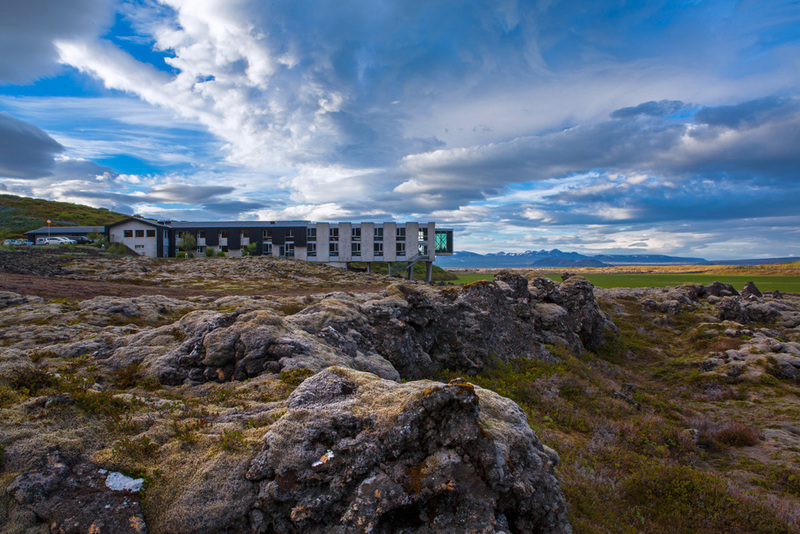 Images of the Icelandic horse, the Seljalandsfoss waterfall, and other Icelandic references adorn the hotel walls. 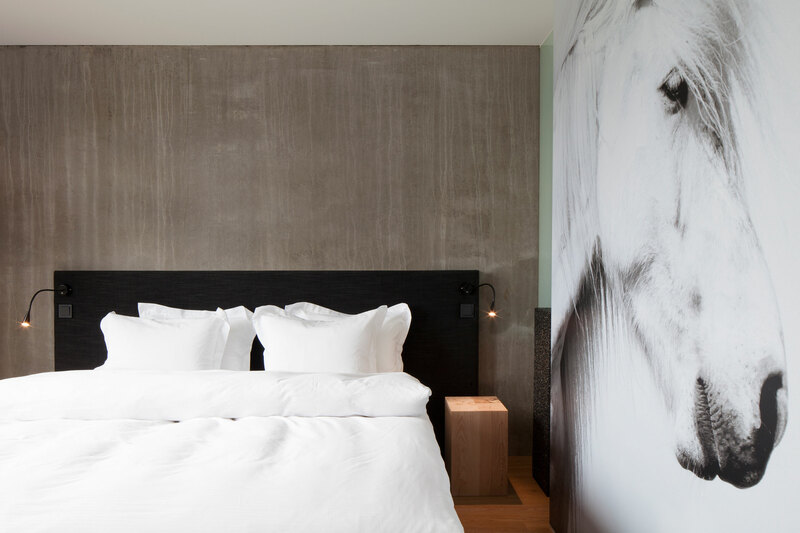 Each guest room is detailed with restrained lighting effects and subtle color palettes, as well as an abundance of natural daylight. 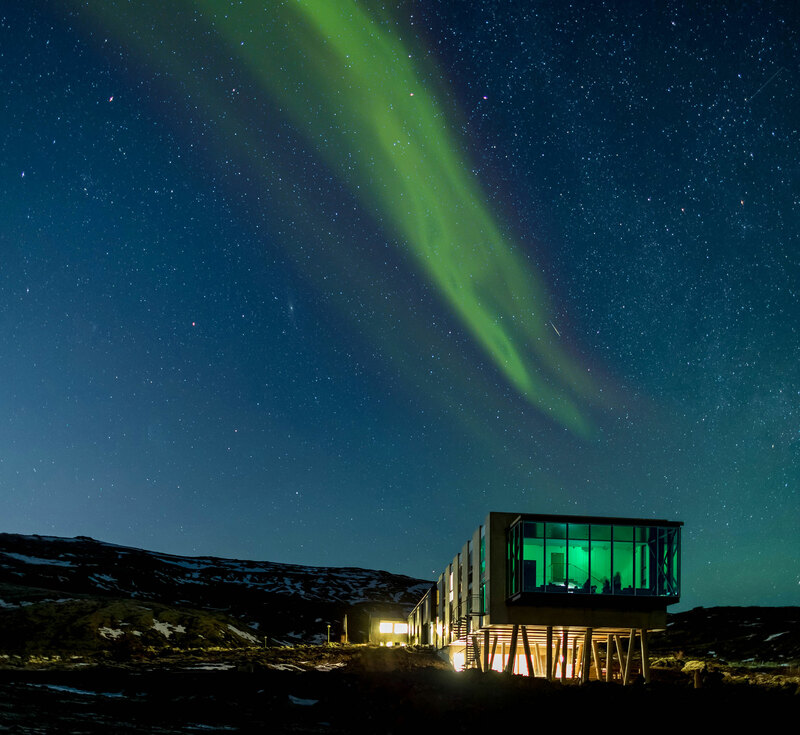 Large picture windows in each room offer breathtaking views of Lake Thingvallavatn and the surrounding mountains, over which nature’s own theatre unfolds as the most spectacular light show, the Northern Lights, comes to life.